A number of new details have been revealed about Animal Crossing: Jump Out, the newest game in the Animal Crossing series and the first to appear on Nintendo 3DS. One of the big details is that of a special tree that you plant when you become mayor which will grow as the city grows. Five new characters will appear in Jump Out. They are Frappe (a lively Penguin), Hamsuke (a brisk hamster), Takoya (a carefree octopus), Brittany (a mature pig), and Anthony (a smug horse). A new personality, smug, will also appear in the game. The game will see the return of Don Resetti, older brother of Mr. Resetti and employee at the Reset Management Center. Animal Crossing: Jump Out will also feature a variety of flora. New flowers will be added to the game along with the return of cherry blossoms. There are also options in building up your town in Animal Crossing: Jump Out. The player can place the Reset Management Center in a place of their choosing. Brewster’s Coffee Shop is something that can be built by the player. And there are two types of police stations that can be built with the officer varying depending on which one is built. You can also collect funds from townsfolk and other players to help build your town. 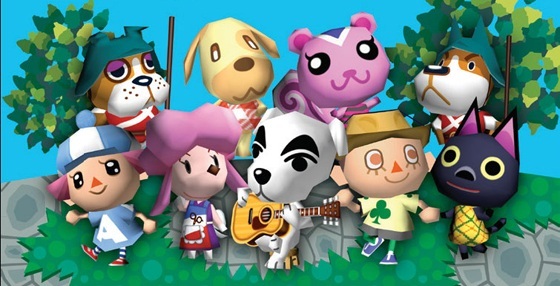 Animal Crossing: Jump Out is developed and published by Nintendo. It is releasing in Japan on November 8th and in the west in early 2013.